As we move closer to the release date of Tom Hardy’s Venom, Sony Pictures is going to really start to ramp up the marketing. Today we have a new poster art collection for you to check out. Hardy shared the poster directly below on Instagram and there are three other posters below that, which were designed by an artist who goes by the name of LA. I may not be overly excited about this movie. I have my reservations, but I am looking forward to watching it to see how it turned out. I really hope that it ends up being better than what I’ve expecting. The movie was inspired by the 1993 six-issue Venom: Lethal Protector comic miniseries. The story followed Venom moving to San Francisco after he and Spider-Man made a truce. Once in San Francisco, Venom is hunted down by the Life Foundation, who wants to study the Venom symbiote so they can use it for their own evil purposes. From it, they create five new symbiote spawn including Scream, Phage, Riot, Lasher, and Agony. Tom Hardy is joined in the film by Michelle Williams (The Greatest Showman), Riz Ahmed(Rogue One: A Star Wars Story), Jenny Slate (Zootopia) and Woody Harrelson (True Detective). Venom is set to be released on October 5, 2018. To catch up on all of our previous Venom news and to catch all the trailers that have been released, click here. 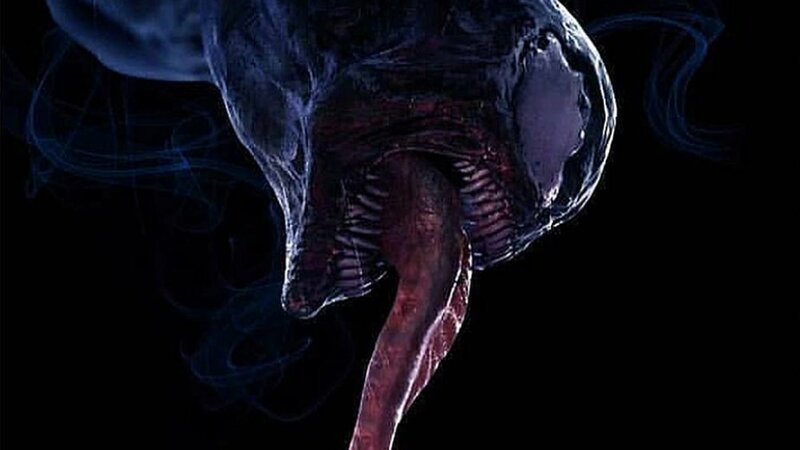 First Movie Poster Released For VENOM The Trailer is Coming Tomorrow!